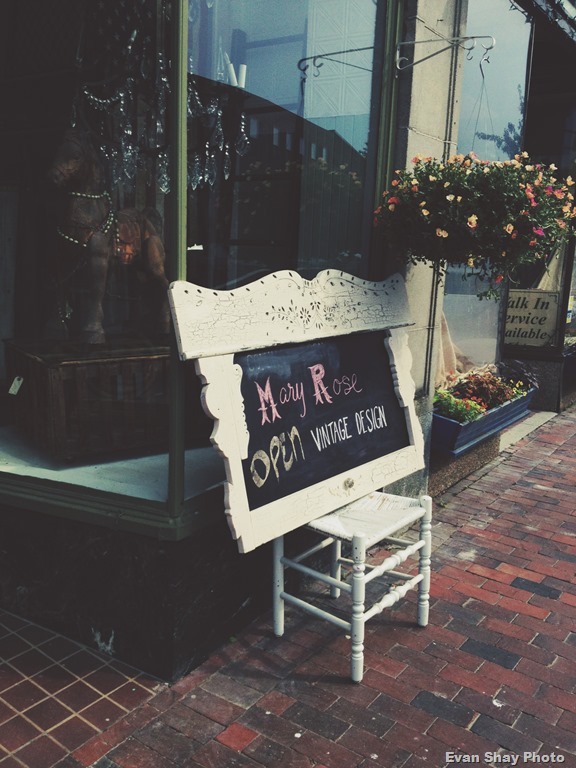 SHOP LOCAL, SHOP VINTAGE AT 211 EAST MAIN STREET! 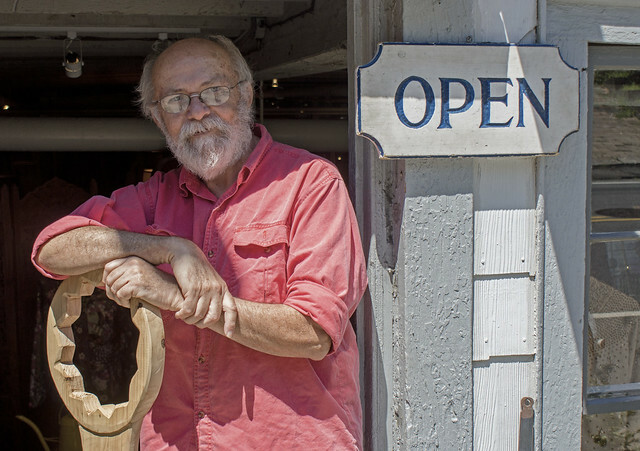 The perennially warm and welcoming shop of Bob and Dave, at Vintage you’ll find not only a fun selection of vintage clothing, but also interesting and unique antiques, art, and artifacts. 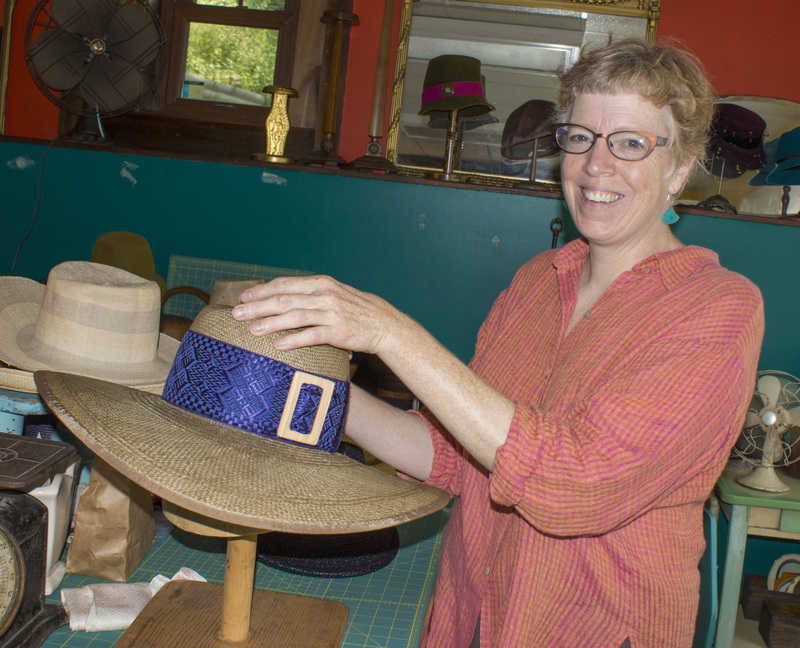 Bob and David's Shop Vintage is a veritable trove of treasures! And always so cozy and welcoming. 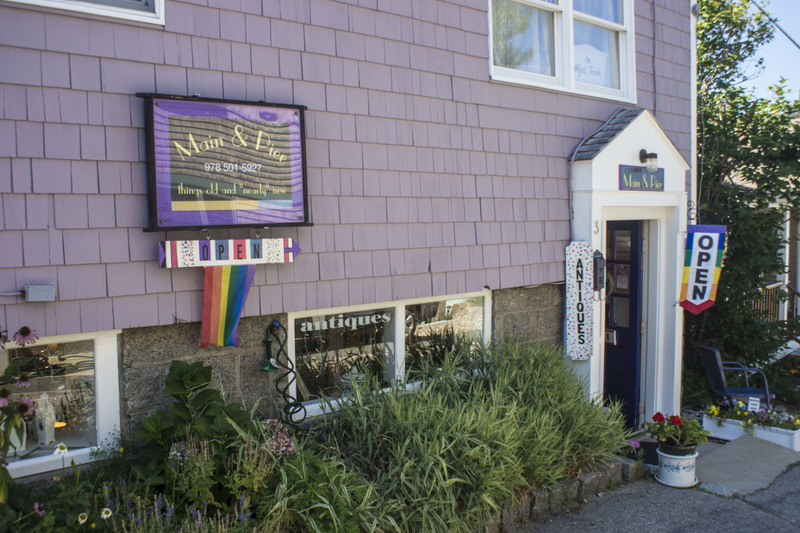 Vintage is located at 211 East Main Street. 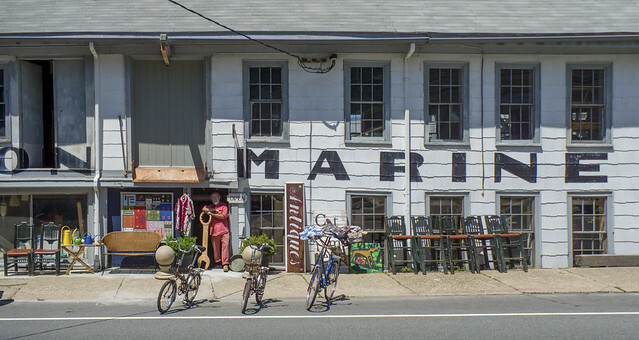 This new vintage store on Main Street has already gotten some GMG love, but my series on second-hand stores on this side of the bridge would be incomplete if I were not to cover it too! 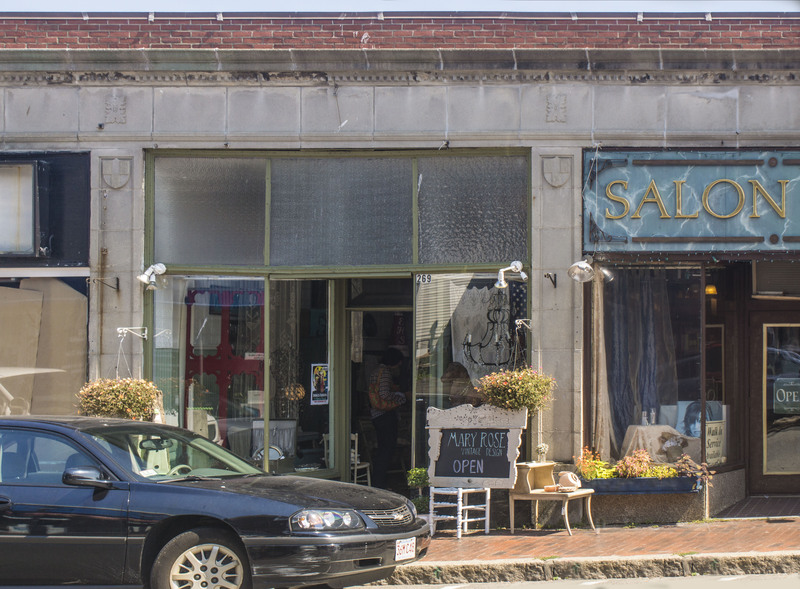 Main Street in Gloucester really should be known as a destination for second-hand and vintage stores! 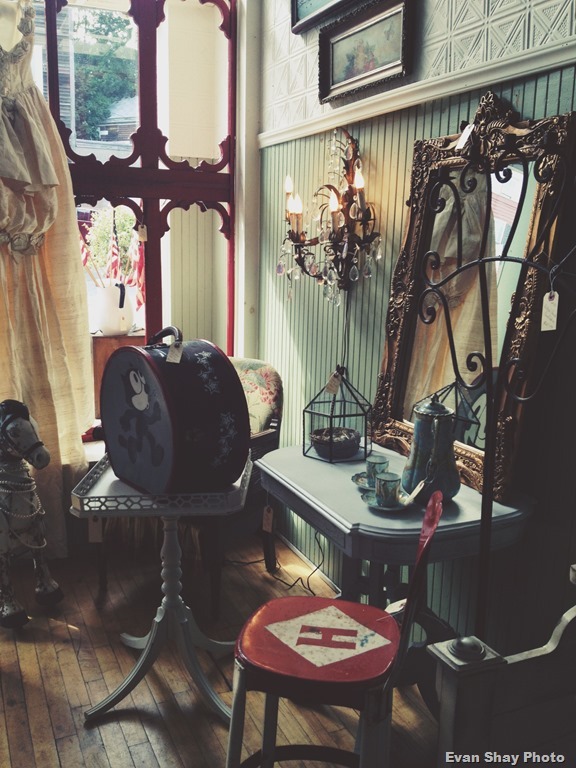 One of the perhaps lesser-known antique/vintage stores in Gloucester is Vintage 211 (211 East Main St., open Fri-Sun 11am-6pm), aka “Bob and Dave’s place”. 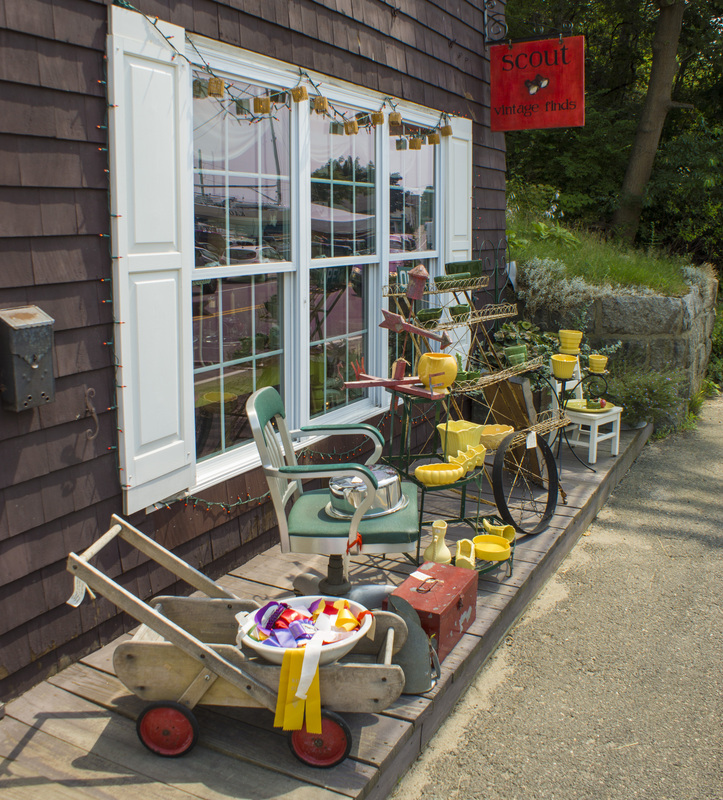 It’s right across the street from Scout Vintage Finds, so it’s easy to visit both at once! They also have similar hours, which is convenient for planning. We’re opening our studios to visitors this weekend from 12 to 6 on both Saturday and Sunday. The space is in the Blackburn Building on Main Street in Gloucester. There will be a total of 5 artists in the building opening their spaces, so lots to see — and if you are coming from out of town, bring your bathing suit and head to the beach after, water has been wonderfully warm lately. Come through the parking lot to the entrance at the back of the building, and take the elevator up to the 3rd floor. There will be signs pointing the way. 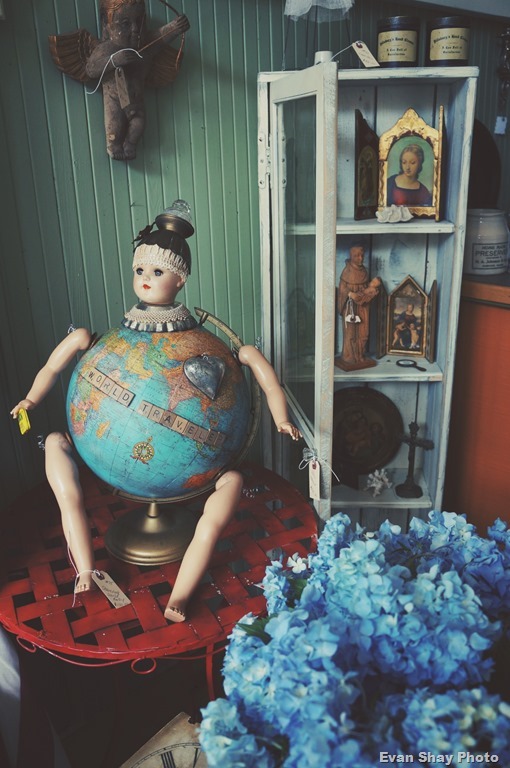 I will have my vintage studio open, with lots of vintage clothes and accessories to browse. 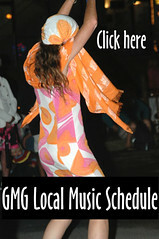 After you stop by our studios hang around for the Gloucester Block party! Save the Date! This Saturday and Sunday from 12-6 we will be hosting open studios in the Blackburn building, 2 Main Street, Gloucester. Stop on by, say hi, browse our work and have some snacks! Come through the parking lot to the entrance at the back/side of the building and take the elevator up toe the third floor. 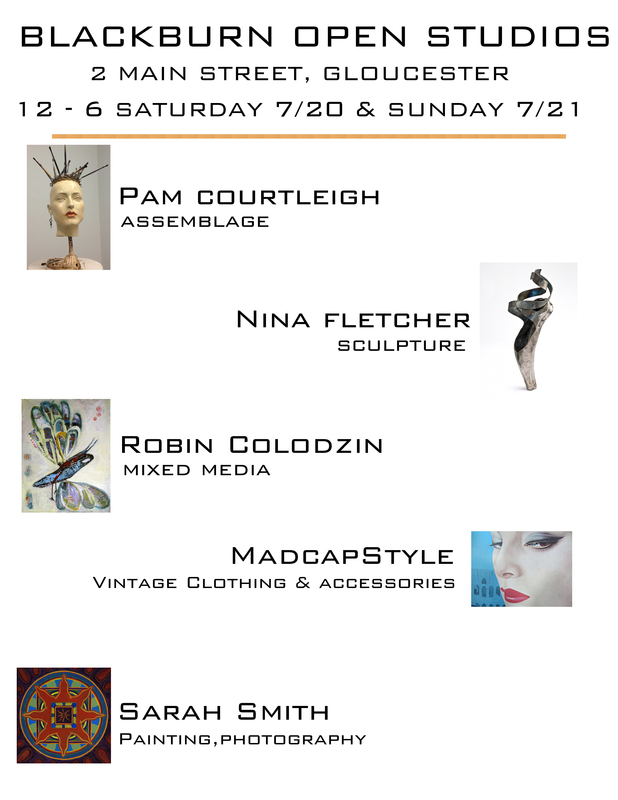 I will have my vintage shop, Madcap Style, open so come and visit me on the 3rd floor! I will be adding lots of new summer clothes and accessories too. 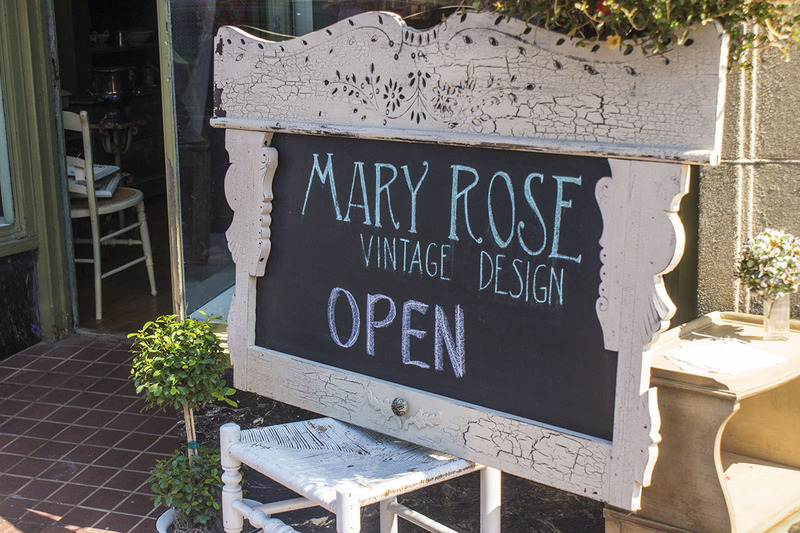 I think people may be interested in learning about a beautiful and interesting new shop named Mary Rose Vintage Design,located at 269 Main Street in Gloucester. My son Evan ( his pictures) and I completely enjoyed ourselves at the grand opening this past Sunday. 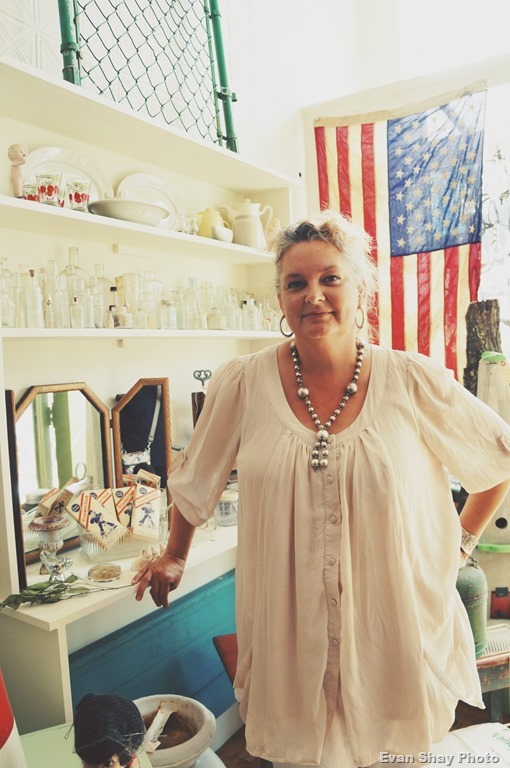 Just step through the front door and you will instantly feel just how lovely the owner, Jackie Colussi (pictured here) is by the warmth and heart she has put into the design of her shop. You will find that she certainly has a talent for finding unique objects with distinctive character. 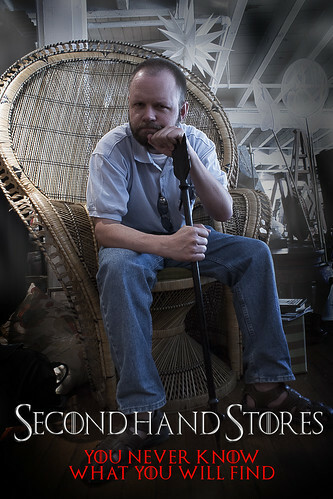 Among the many second-hand stores in Gloucester, some are “generalists” (the church and charity-affiliated thrift shops, Main Street Arts and Antiques, etc..) and others are specialized in things like books, music, or clothes. 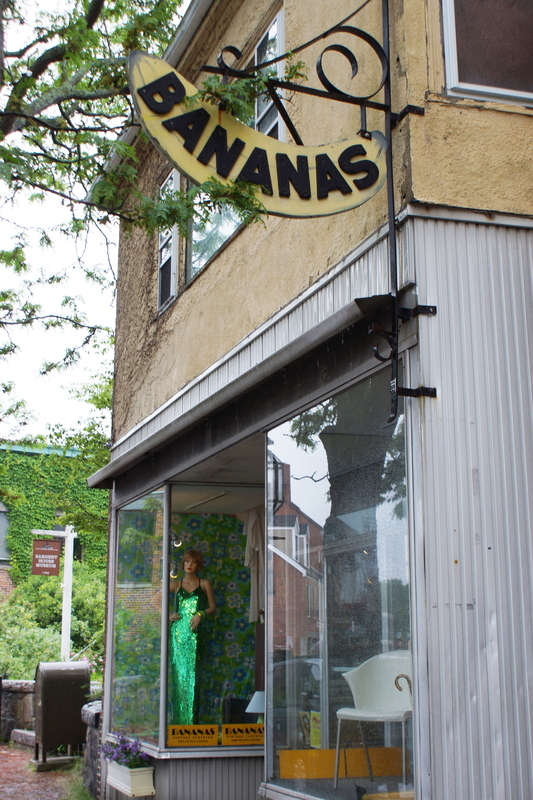 Today we look at one that specializes in vintage clothing and accessories: Bananas (78 Main St)! I have heard from many people that this is the go-to place for vintage clothing, jewelry and accessories for theater productions, but Bananas also sells contemporary clothing. I picked up a nice pair of suspenders here not long ago. The store hours are 10-5 Monday-Saturday., 11-4 Sunday. 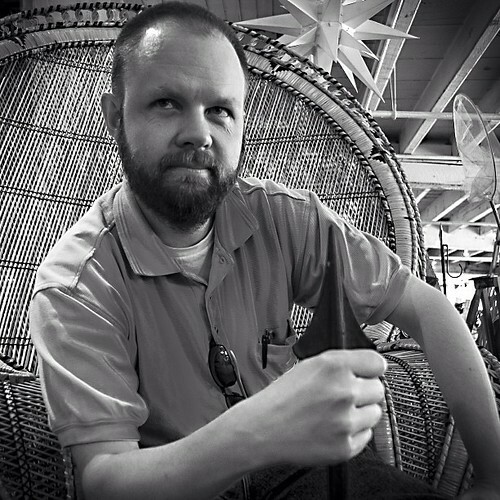 Click here to see a GMG interview with the proprietor, Richard Leonard, from four years ago. Most of the time when I go in, I see local artist Debbie Clarke behind the counter. Her beautiful work has been seen on this blog on more than one occasion. 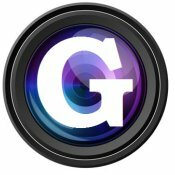 I can’t help but mention that frequent GMG contributor and all-around nice guy Fred Bodin’s gallery is practically next door. 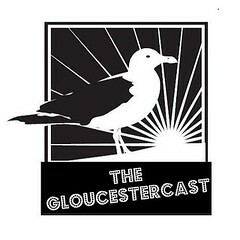 But then again, there are so many cool places and GMG contributors and friends in close proximity downtown, that if I were to list them all, I’d end up making a map of downtown Gloucester… And I mean that! 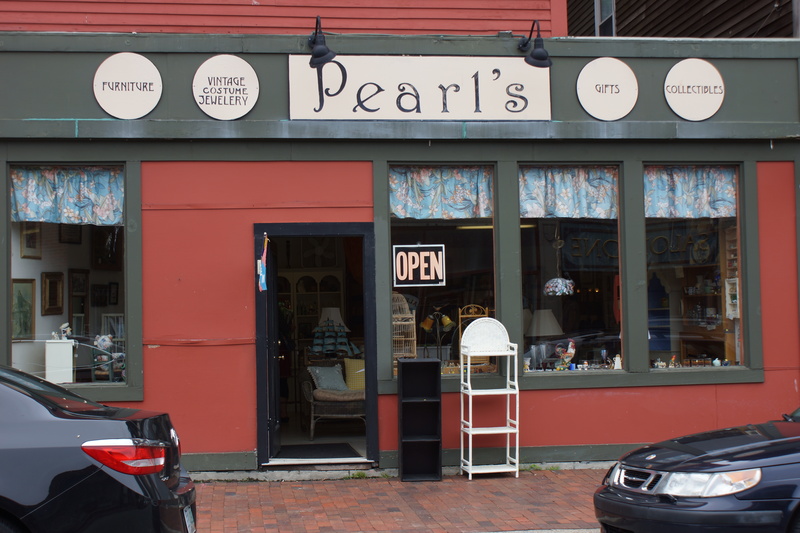 Pearl’s (222 Main St., Gloucester) is the focus of the 4th installment in my series on local second-hand (thrift, antique, consignment, etc.) stores! Like the other stores, Pearl’s has a variety of items, including jewelry, knick-knacks, etc. But this store has more of a focus on small furniture – shelves, tables, etc. For instance, at my visit, they had a beautiful set of wooden nesting end tables (seen in one of the photos below), as well as many other items. As mentioned in a previous post, Pearl’s is next door to The Sequined Fan, so it’s easy to visit both at once. Unlike the thrift stores, neither Pearl’s nor The Sequined Fan have any significant collection of clothes, although they do have accessories. Pearl’s is open Mon-Sat 10-5, Sunday 12-4. 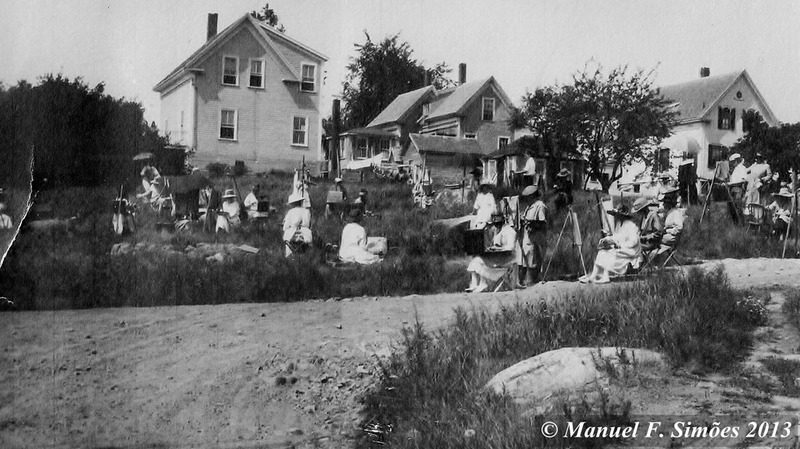 I wonder where this photo was taken, perhaps it was the first Art Colony in Rocky Neck. 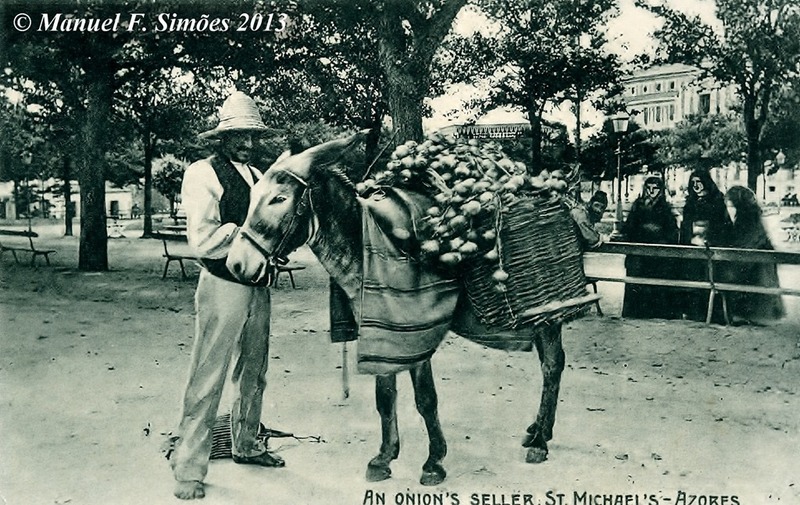 Vintage Post Card from the Azores post marked 1906, acquired at Main Street Arts and Antiques. 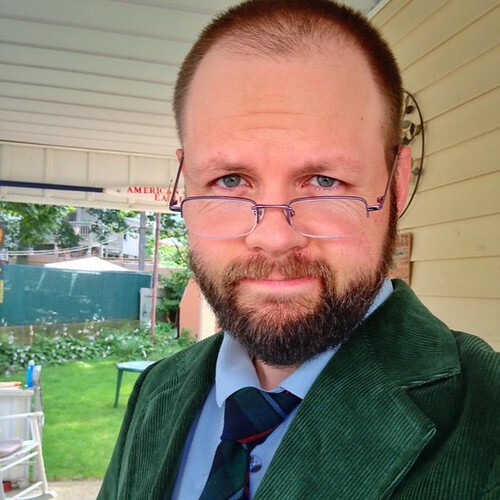 Here are the photos and stories are submitted to the I Love My Vintage ____ Contest. 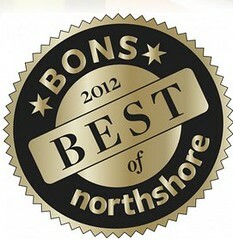 To those of you who submitted, thank you so much. I know everyone will enjoy your submissions as much as I have. Reading the entries has been a lot of fun; the stories behind why people love their old stuff range from funny to sweet to poignant to practical. 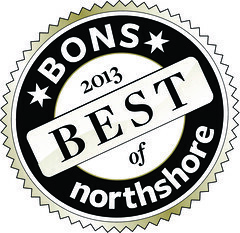 Read on for the submissions to this year’s contest, and if you’re so inclined, please vote for your favorite over on Facebook. 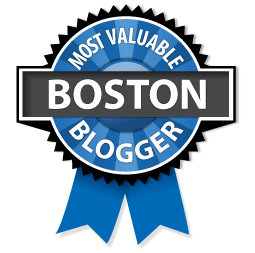 You can vote once an hour for multiple entries, so you can choose more than one favorite. The voting ends on Friday, February 22nd. I love my vintage photo album that belongs to my 88 year old mother. It has photos of her grandparents’ 50th wedding anniversary – in 1934. Also, the Chicago World’s Fair which took place in 1933 and 1934 – A Century of Progress. The album contains tickets and season passes to the Chicago World’s Fair. This plate is my mom’s that I took when I moved out in my 20’s. Ever since I can remember, she’s always had that plate in her china cupboard and it was one of the first objects I remember associating with “home”. It’s my piece of home that I take with me wherever I move to and it’s totally one of my three items I would grab if there was a fire! When I reached my teens, I could barely stand being in the same room as my father. I thought I knew it all and he didn’t. In my later years before he died, I never apologized for being a nasty little so-and-so, but I tried to hang out with him in the kitchen and learn from him, hoping my current actions might speak louder than previous actions. One day in 1993 I told him how much I liked the painting hanging in the entryway of my parents’ home and he took it off the wall and gave it to me, nasty little so-and-so notwithstanding. That example has taught me much about being a parent. So while I love this painting for its NE coastal subject (the artist hails from Lynn – 1864-1940 – and painted the coast up to Ogunquit), I love it more for the lessons it teaches and memories it conjures. The Old Lamp: This lamp is a repurposed oil lamp designed to stay in use! I have had it since I started keeping my own house…a garage sale find. I can’t help but picture folks lighting it in the 1900’s with oil and flame whenever I turn the now electrified wick-feeder. This hand knit wool sweater was my mom’s back in the 60’s! 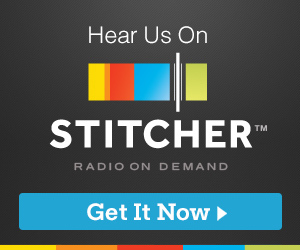 It’s the best- so cozy, warm, and cheerful! Mom had good taste in elementary school. I love my vintage house on Main Street in Mechanicsburg, Ohio. When my husband and I bought this home back in 1998, we thought we’d be here for 5 years. Now 14 years later, the house is finally on the market as we anticipate moving to the family homestead in the country. Through the years, we’ve taken off layers upon layers of wallpaper (yes, the bottom layers were quite vintage!) and transformed every square inch of this grand 1900’s bungalow to make it a wonderful home. In spite of the “old house” problems which still exist – crooked floors, cracked plaster and ancient wiring – this is our home and we love it. This christening gown was made by my maternal grandmother back in 1953. My brother was the first one to wear it followed by my 3 other siblings and myself. Each of our children (10 grandchildren in all) have also worn it and my son was the last to wear it back in 2010. My hope is that my children’s children and their children will continue the tradition. It was tough to decide, but this little fellow always warms my heart. I discovered him on a dusty, high shelf in an Oregon antique shop, and I visited him many times before finally bringing him home. I love his beautiful, full gallop, and I’m sure his old steel & rubber wheels took some lucky children on some amazing adventures. I heart him. It was a wedding gift to my parents in 1954 from my father’s stepfather. 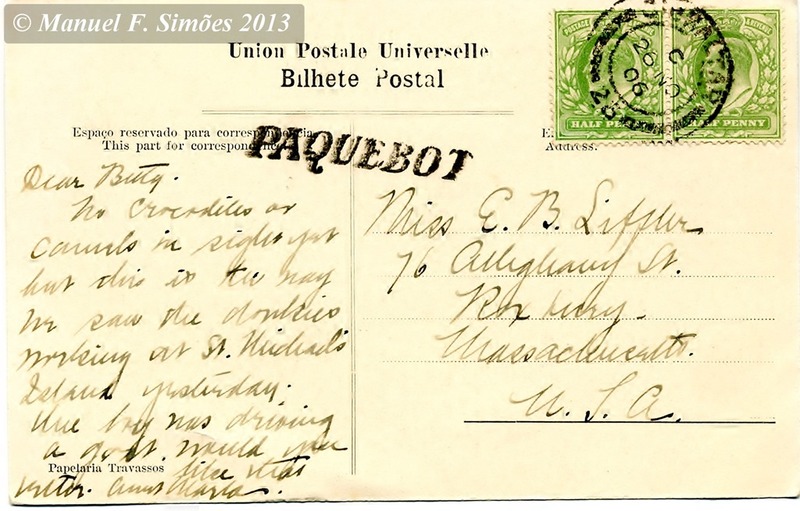 His own father had died of tuberculosis a few months before he was born, and being extremely poor with 6 children to support, my grandmother didn’t take long to remarry. I don’t have a lot of memories of my step-grandfather since he died when I was about 4 years old. However, the one memory that stands out was from a short time before he passed away. He was very ill and lay on the sofa in the main room of the very small house. My parents had left us there for the day and my sisters and I were playing outside in front of the house. My grandmother had a hog she’d raised that was getting close to ready for butchering. The hog occasionally broke out of the small space where it was kept penned and was not in a friendly mood when it did so! When the hog got loose that day, my older sisters ran into the house. I stood paralyzed as I watched a large angry swine charge towards me. Then my very ill grandfather got up off the sofa, stepped out the door and pulled inside the house before the hog reached me. As for the cookie jar itself, I remember it in the kitchen in the home I grew up in. Even when cookies (usually store bought — Oreos! — occasionally homemade) weren’t in it, the smell still lingered. My parents eventually divorced in 1980 and my father remained in the house, with the cookie jar still in the kitchen. When he was cleaning things out a few years later, he asked if I wanted it and I gladly jumped at the chance to take it. It has followed me to different homes, different states, through a marriage and divorce and other relationships, and now, in my Gloucester home, it is still with me, sitting on my kitchen counter. My favorite vintage item is this old leather suitcase. It has obviously seen better days, having long lost its handle, covered in nicks and dents, and plastered with an old bumper sticker. However, it is what this suitcase represents, what it holds within, that I cherish. It spent many years, even decades, in my parent’s bedroom, tucked hidden away under my father’s side of the bed. It was a sad turn of events that finally brought this suitcase to my attention. I think that even my mother had forgotten about its existence. But my father never did, adding little things faithfully to it over the years. My father never spoke much. He was a quiet man, not apt for conversation unless it was about cars or motorcycles. But this suitcase speaks the volumes he never could, hiding away words and memories, holding the treasures of his heart. On a brisk November night in New York City, over three years ago, my father left us for heaven. It was 10 days before his 59th birthday. It was on the day that my son turned one year old. It was a day I will never forget. And now the suitcase holds even more significance for us all. Honestly, I have never seen what is inside. It was probably sometime last year when my mom called me, and I heard a small catch in her voice, a quiver. She had opened the suitcase and was pouring over its contents. Through tears and smiles she had re-read the love letters of long ago. He had saved every one. Letters from an era that no longer exists, that seems so far away now, but it was only the late 1960’s. There was no such thing as texting, and mom was only allowed to call him once a week. No computers, no cell phones, no email. And I am so glad, for all of this would have been lost. They met when they were teenagers. One of their favorite places was Word of Life in upstate New York (hence the bumper sticker), and that was where my mom met the Lord. Amazingly, that was where I met my husband many years later, as God brought us together in what many would term a serendipitous meeting, but we know better. This suitcase symbolizes even more than a love story. It symbolizes a promise made that was kept. A vow that was never broken. Till death do us part. I was there with my dad on his last night here with us. I watched as my mom, who had slept in a chair next to his hospital bedside for almost 8 weeks straight, tucked him into bed one last time, prayed with him, and faced her darkest fears as she laid her head next to his and waited. Waited for a miraculous healing that was not to be this side of heaven, waited for my dad to call out her name for help so she could attend to his every need, waited as the leukemia slowly took over the life we all knew. With tenderness and love she waited by his side, a picture of faithfulness until the end. My grandmother, Doris Velma Driscoll, ( I just love her name), wore this pin during the summer months on her freshly ironed cotton blouse. She had so many pins! A pin for every occasion! My first memory of her was her bringing me to Salem Willows when I was probably 6 years old. This pin reminds me of her love for the beach—she taught me well! If you like vintage goods, check out The Roving Home‘s most recent stylebook in collaboration with photographer Esther Mathieu. Click the image to check out The Roving Home’s latest stylebook. 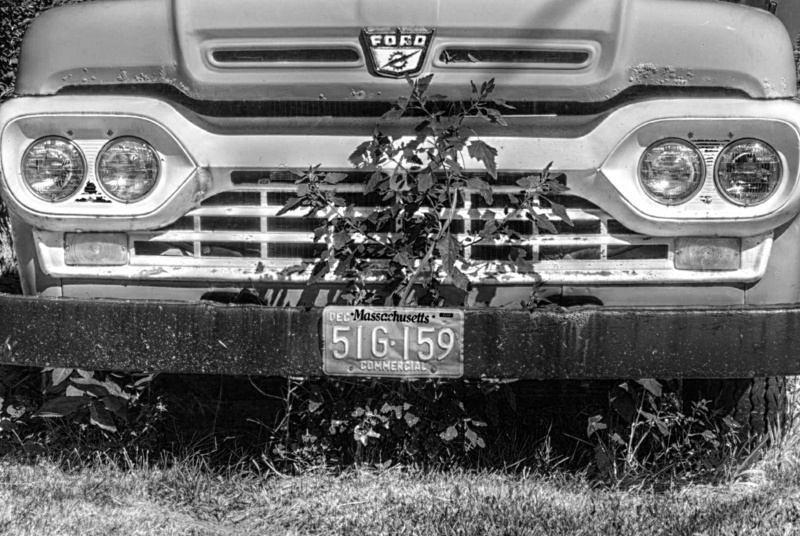 I took this photo a couple of years ago, and I think this truck is still in the same place… (license plate digitally altered to respect the privacy of the owner).